These aim to summarise our ethos as a school – a school where every unique individual is well known, cared for and supported to do their best – and underpin everything that we do. The key principles of Social, Moral, Spiritual and Cultural education are weaved through our curriculum, extending way beyond the requirements of the National Curriculum into the everyday learning life of the school. At TAB the curriculum is designed to help each child develop as a successful learner, confident individual and responsible citizen, and develop their capabilities to the full, learning to respect others, express themselves with fluency and confidence, and understand the world in which they live and how they can contribute to making it an even better place. Each half term we focus on one of our values. Understanding of these is developed through Lower and Upper school assemblies led by the Senior Leadership Team, with visiting clergy and speakers from the local community also leading our assemblies from time to time. These assemblies include ‘stories’ that are chosen to have a particular relevance to the children, and include a range of traditional and Bible stories, creative arts and illustrations as well as music. Children are invited to reflect and think about our values in their day to day life in school, and at the end of each week special celebration year group assemblies are used as an opportunity to share the achievements of children and reward those who have been a shining example and demonstrated our school values in action. The government sets out its definition of British values in the 2011 Prevent Strategy (revised and updated in 2015) and these values were reiterated by the Prime Minister in 2015. At TAB we believe these values sit within and are compatible with the wider context of Global Values. 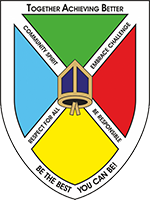 Thomas A Becket Junior School is committed to serving both its local and wider communities. It recognises the multi-cultural, multi-faith and ever-changing nature of the United Kingdom, and therefore those it serves. It also understands the vital role it has in ensuring that groups or individuals within the school are not subjected to intimidation or radicalisation by those wishing to unduly, or illegally, influence them. The Local Authority, on behalf of the school, accepts admissions from all those entitled to an education under British law, including pupils of all faiths or none. The school follows the policies outlined by its governing body regarding equal opportunities, which guarantee that there will be no discrimination against any individual or group, regardless of faith, ethnicity, gender, sexuality, political or financial status, or similar. Democracy: Pupils have the opportunity to have their voices heard through our School Council and pupil questionnaires. We actively encourage them to voice their opinions in all learning situations. Children have the opportunities to vote on class councillors. The Rule of Law: The importance of Laws, whether they be those that govern the class, the school, or the country, are consistently reinforced throughout the school day, as well as when dealing with behaviour and through school assemblies. Pupils are taught the value and reasons behind laws, that they govern and protect us, the responsibilities that this involves and the consequences when laws are broken. Visits from authorities such as the Police and Fire Service are regular parts of our calendar and help reinforce this message. Mutual Respect: Much of our school ethos and behaviour policy is based on our key principle of ‘Respect for All’, and pupils have been part of discussions and assemblies related to what this means and how it is shown. Displays around the school promote respect for others and this is reiterated through our classroom and learning rules, as well as through our behaviour policy. Tolerance of those with different faiths and beliefs: This is achieved through enhancing pupils’ understanding of their place in a culturally diverse society and by giving them opportunities to experience such diversity. Assemblies and discussions involving prejudices and prejudice-based bullying have been followed and supported by learning in RE and PSHE. Members of different faiths or religions, both pupils and parents, are encouraged to share their knowledge to enhance learning within classes and the school.